Video meetings, audio calling, data sharing, streaming and recording, all from one simple, professional and interoperable solution. VideoCloud 365 is a secure and professional conferencing platform for people, teams and businesses, designed to greatly improve collaboration across your organisation. Whether for connecting boardrooms around the globe, enabling mobile and home workers to connect with your main HQ, or to improve the features of your huddle room video conferencing systems, VideoCloud 365 makes professional business communications simple. Teams can connect, communicate and collaborate securely, wherever they are, whenever they choose, in whatever way works best for them. Secure HD Virtual Meeting Rooms for up to 50 people. Unlimited HD calling. Directories. Reporting. Presence. Personalised domains. Streaming and recording. Seamless interoperability between any professional video conferencing endpoint, Skype for Business/Microsoft Lync & Office 365 client, desktop software, mobile & tablet app, Skype & WebRTC customer and audio-only user. Combining world leading technologies & award-winning services & support, the VideoCloud 365 service enables your organisation to make huge cost savings whilst improving productivity & efficiency, all whilst providing the same experience as an on-premise deployment. Connect any device, inside or outside of your company. Place and receive ad-hoc video calls from any video address using standards-based Video Conferencing (SIP/H.323) on any network. Unlimited video minutes and 50 participants in one meeting. Easily connect different video platforms, endpoints and audio conferencing, all in the same meeting. Simply share and view presentations, spreadsheets, applications and web pages with everyone in your meeting. Review, edit and design with anyone, between your meeting room, mobiles and desktops, across all platforms and devices. With simple outlook integration, planning and scheduling your conferences and collaborative sessions with colleagues is quick and simple. Schedule on-the-go from your phone or tablet, and join in a single click. Unlimited audio-only dial-in for guests via traditional telephony or VoIP/data telephone networks, with 55 international dial-in numbers (and growing!) Plus with audio and presentation mode, audio only participants can still view the content being shared too. With the centralised administrator dashboard, your organisation has access to indepth statistics including user and call statistics, alongside a whole host of controls for managing users, security and directories. Great for calculating ROI, and recognising areas for improvement and savings across the organisation. Create and record fantastic events with no infrastructure, with hosts and participants in many locations if required, with no limits on how many people can watch. Using VC365, you can record and stream directly from your virtual meeting spaces, via YouTube integration or custom streams using RTMP integration. Ready to trial VideoCloud 365? 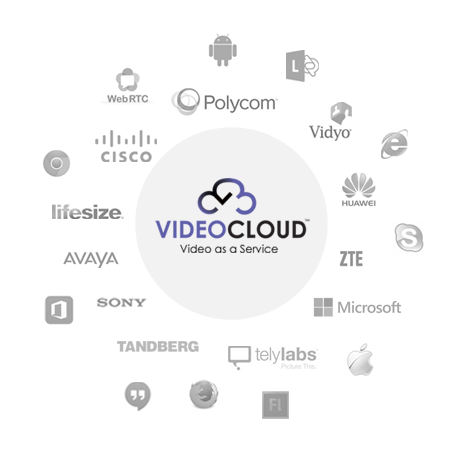 For more information about the VideoCloud 365 service, or to trial the VideoCloud 365 within your organisation, please contact VideoCentric today. 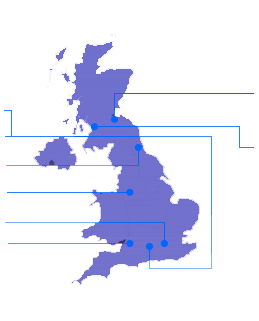 In addition, some organisations may be looking for a private cloud, hybrid cloud or co-location service offering, all of which the VideoCloud 365 service can allow. Talk to us today about your requirements and let us help you decide on the best cloud for your business.